There is a large area with a significant (brown, 5%) tornado risk between now and sunrise Sunday. 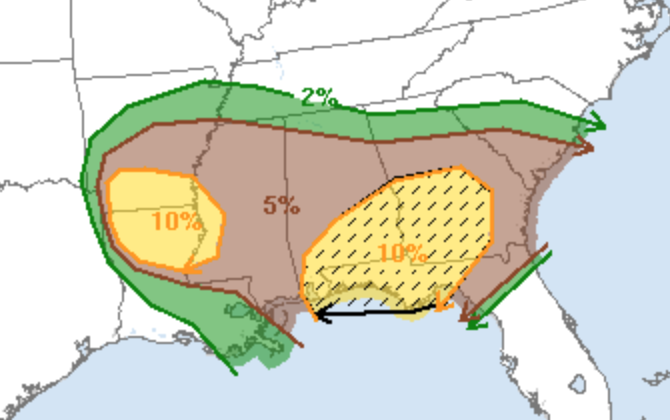 There is an enhanced risk in the yellow areas with violent tornadoes possible in the hatched area. 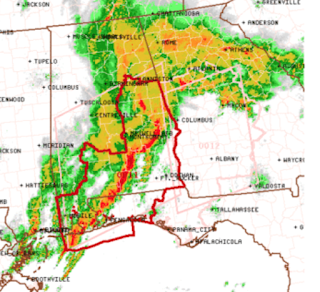 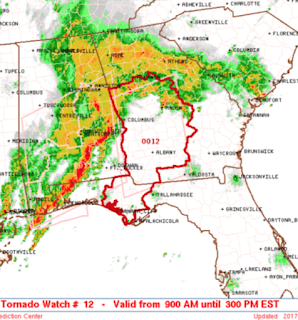 Currently, there is a tornado watch in effect until 11am for parts of Alabama and Florida. 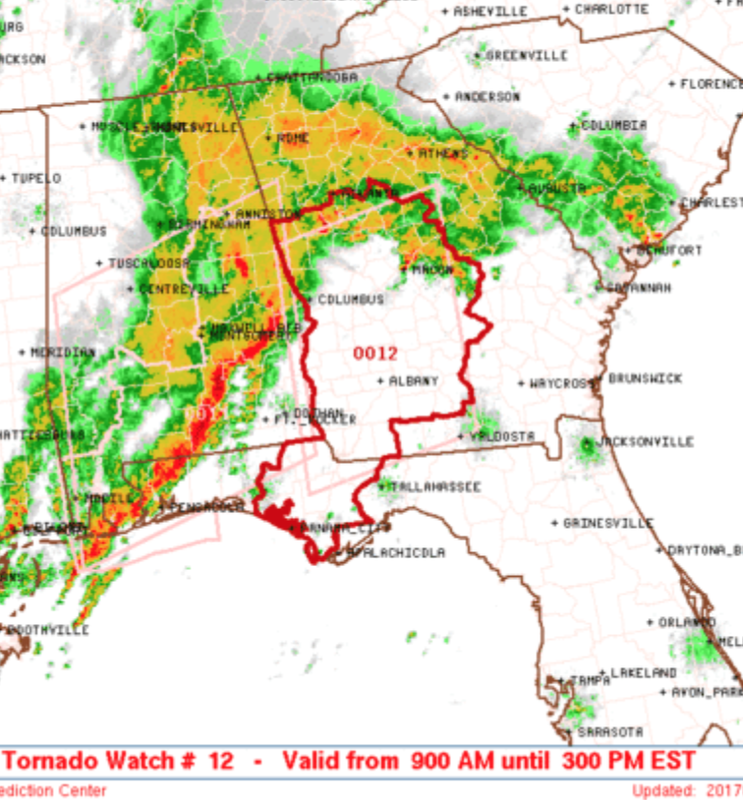 And, a second tornado watch in effect until 3pm EDT.